"By 2050, around 50 percent of all chemicals produced will be biobased." Biodegradable biobased products made without fossil-fuel feedstocks are showcased at the Biobased Europe Pilot Plant in Ghent, Belgium. The products include a laundry liquid and a hand soap made by Ecover, shower gels by Nivea and Sanex, a skin oil by Kneipp, and a window de-icer by Forever, as well as samples of the plant's biodiesel and bioethanol. Ghent, Belgium--A nonprofit public-private partnership called Flanders Biobased Valley (FBBV) and several key allies hope to transform the Flanders region of Belgium into the hub of a new European center of biobased economic activity. More than €500 million has already been invested in the region's bioeconomy. In a biobased economy, fuels and chemicals are produced from plant-derived materials rather than petroleum or other fossil fuels. The term "bioeconomy" encompasses agriculture and forestry-based processors and their products, such as food and paper, as well as textiles and those chemicals and plastics not produced from fossil-fuel feedstocks. Biofuels and bioenergy (in the form of heat) are also a part of the bioeconomy. Collectively the bioeconomy generated more than €2 trillion in 2013, according to the Bio-based Industries Consortium. Whereas some of the products made by the chemicals, pharmaceuticals, and plastics industries are now 100 percent biobased, such as natural dyes, enzymes, and fatty acids, other products that traditionally had been made from fossil fuels now are partly based on biological feedstocks. 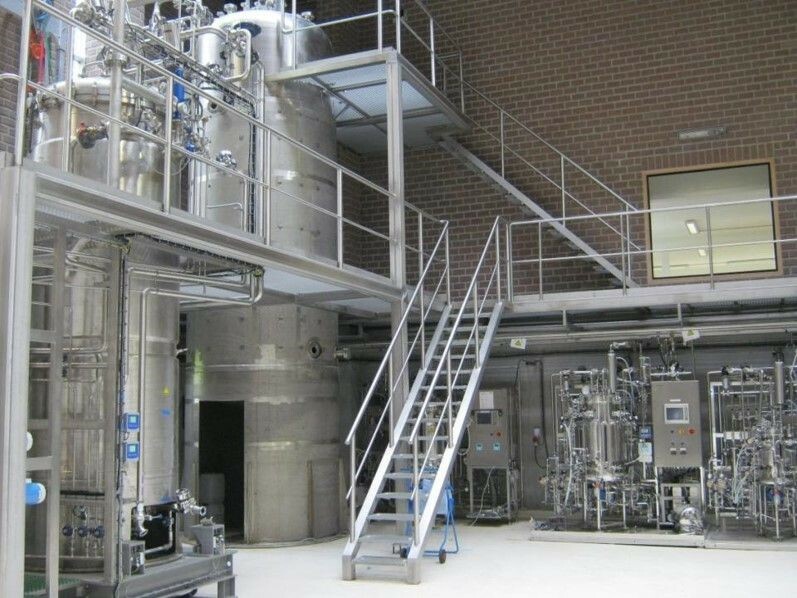 Traditional biobased companies, like oil, paper, yeast, and gelatin producers, have long operated in the Ghent area, but now Flanders is seeking to add value to the regional economy by aggressively developing a suite of newer, more advanced biobased industries without fossil-fuel feedstocks. FBBV's founder Professor Wim Soetaert. 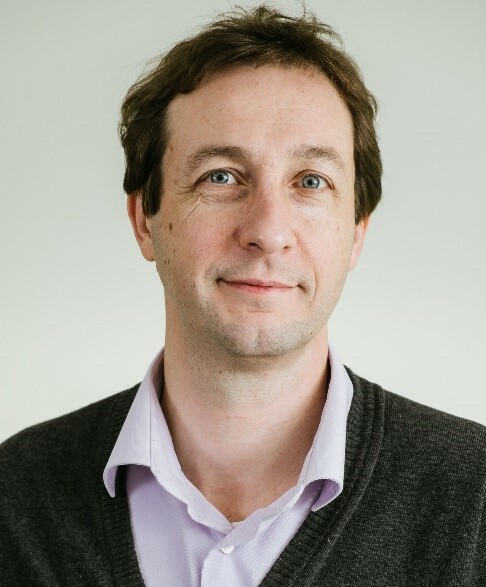 FBBV's founder, Ghent University professor Wim Soetaert, is pleased with the progress Flanders is making in growing its bioeconomy, "particularly in terms of biofuel development. We've built up significant production capacities," he said. In the next five years, he hopes to stimulate another €500 million in investment through FBBV. He would like to see these new investments mainly made in factories that produce biobased products, like bioplastics or biodetergents. But he has doubts that those funds can be raised in the near future. "The reason is clear," he said, "the drop in oil prices." However, If a high price were put on CO2 in the form of a carbon tax or via a carbon trading system, biobased products would become more competitive, he indicated. The Bio-based Industries Consortium "now intends to put €3.8 billion euros into biobased activities," Soetaert said. This investment might be deployed anywhere in the bioeconomy, such as in the food, chemical, biomaterial, or fuel industries. It would be difficult to attract capital on that scale, according to Soetaert. "We'll see whether that works out--it's going to be a difficult journey." If FBBV's and Dr. Soetaert's longer-range vision is fulfilled, the Ghent Canal Zone would become a little like a European Silicon Valley, but for companies pioneering the development and commercialization of second- and third-generation biobased goods. Whereas first-generation biobased goods are produced directly from plant sugars and starches, second-generation biogoods are made from cellulosic and other materials. Third-generation biogoods are produced by algae. The Port of Ghent already refers to itself as "Europe's number 1 bioport"--a premier transportation and storage hub for bulk agricultural products, for which it maintains huge storage facilities. They equip the port to play an important role in the biobased economy. The port is also home to more than 300 conventional and mainly industrial companies. In the 1990s, the port faced protests over its planned expansion and was seen as a source of environmental problems, according to Veerle De Bock, Projectcoordinator for the Ghent Canal Zone. Today the port is working hard to become more environmentally sustainable and maintain good community relations. As part of its efforts to modernize since the 1990s, the port has added wind, solar power, and biomass power plants. It is also reusing waste gases and heat from a steel manufacturing plant. The port even gives free electric bicycles to employees who want to bike to work. Port of Ghent and Syngas Biorefinery Cluster showing fermentation plants where the gas is made and then transferred by pipelines from storage facilities to distribution centers and to power plants where it is burned to make electricity. Today, in a four-square kilometer area, the port's biorefinery cluster produces 350 thousand tons of biodiesel, 170 thousand tons of bioethanol, and 240 MW of bioelectricity every year. "That's what I call a biorefinery," Soetaert said proudly. While these biofuels are less valuable by weight than bioproducts, bioethanol still brings about €500 per ton and biodiesel sells for €800 per ton. The port's biodiesel production alone is thus valued at €280 million a year. The bioproducts are also producing environmental benefits. Over the seven years that the cluster has operated, it has avoided the emission of roughly five million tons of CO2. "There's a lot of CO2 not being produced today, thanks to this biorefinery," Soetaert noted. If biobased industries in Flanders are to realize their full potential for reducing greenhouse gas emissions, however, Soetaert believes they must move from first-generation biobased production technologies to second- and even third-generation technologies. The different generations of biobased technology are distinguished by their carbon sources. The carbon in first-generation biofuels and bioproducts is derived from sugars, lipids, or starches extracted directly from a plant--often an energy crop, like corn or palm oil--that may be grown in competition with food crops. Second-generation biochemicals are produced from carbon in cellulose, hemicellulose, lignin, or pectin. Those chemical feedstocks can be derived from agricultural and forestry residues, municipal solid waste, or from certain inedible energy grasses, such as miscanthus, or from rapidly grown plantation wood, such as poplar or willow, or from other coppiced wood. In third-generation biofuel production, the carbon source would be algae (provided it is not fed plant sugar) or the fuel could conceivably be produced by genetically engineered bacteria. To date, it has proven very difficult to raise yields from third-generation biofuels to profitable levels. 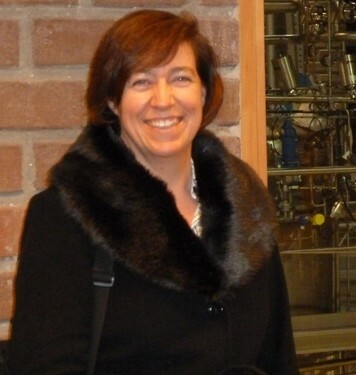 When Soetaert started FBBV in 2005, most of the R&D in bioenergy and bioproduct development was siloed. Lots of activity was occurring, but companies and researchers were secretive, rather than collaborative. Soetaert saw a need for a networking organization that would bring people together and promote cooperation. An opportunity arose because the European Union (EU) was committed to reducing the continent's greenhouse gas emissions. The EU therefore issued a renewable energy directive that set a binding target for its member countries to get 20% of their final energy consumption from renewable sources by 2020. In response, Belgium established a national quota system and set up a competitive bidding system to allocate government biofuel investment. "The parties from Ghent got 80 percent of all the quotas because we were organized and the others were not," Soetaert said. Recently, since one of the quota recipients has stopped production, Ghent now produces up to 90% of all Flemish biofuels. Government regulations also mandate the blending of biofuels with conventional fuels in specific proportions to qualify for lower taxes. 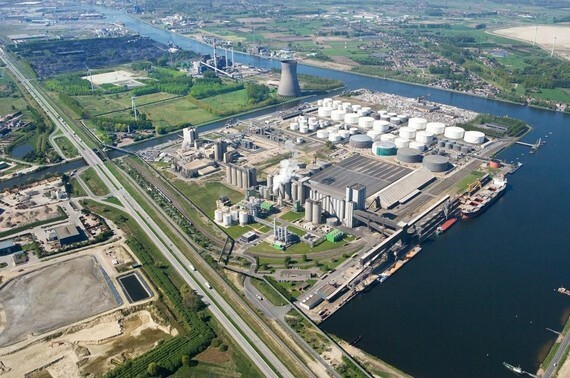 Ghent's biorefinery cluster got its first big boost in the form of €120 million in private investment in the port of Ghent in 2006 that enabled Bioro and Alco Bio Fuel to start producing biodiesel and bioethanol, respectively, at their facilities in 2008. A key enabling technology for replacing fossil-fuel feedstocks with plant-derived materials is industrial or "white biotechnology,"--the use of micro-organisms or enzymes to convert renewable resources into all kind of biobased chemicals and materials. Fermenters in the "White Hall," of the Biobased Europe Pilot plant, dedicated to white biotechnology. Biobased products and biofuels help mitigate climate change because all naturally derived noncarbonated organic molecules were formed through plant photosynthesis during which CO2 was removed from the atmosphere and incorporated into organic compounds in the plant. When burned, these organic molecules then release the same amount of greenhouse gas into the atmosphere as the plant initially removed from the air to create them. Biomaterials can thus be an important part of a clean energy economy. While the use of biomaterials can in theory be a carbon-neutral process, in practice, the production and transport of biofuels and bioproducts today generally requires some fossil fuel. Thus biomaterials are likely to only reduce, but not eliminate, the amount of CO2 added to the atmosphere. In addition to foods and fuels, bioproducts include bioplastics, biocomposites (resins plus natural fibers), detergents, elastomers, surfactants, solvents, and cosmetics. Biomaterials therefore can be useful in the chemical, food, pharmaceutical, textile, and energy industries. Flanders Biobased Valley (FBBV) is not only focused on helping member companies obtain financing for new factories and promoting the formation of biobased industry clusters, but it also helps members in the young industry solve common problems. These include issues related to raw material supply, technology, regulation, production, distribution, storage, or infrastructure. 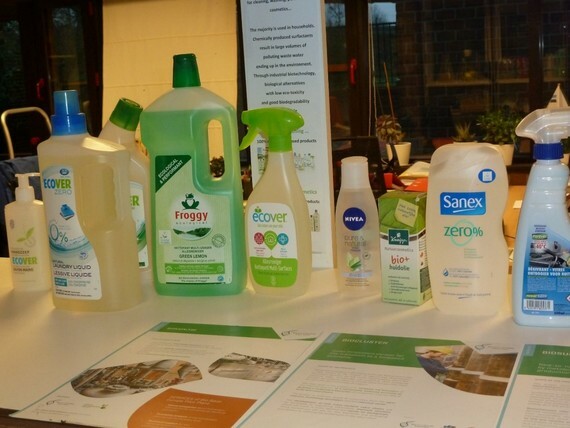 FBBV also works to improve public awareness of biobased products' value, and it assists its industrial partners to develop technological expertise and form new partnerships. Currently, FBBV is working closely together with the Port of Ghent to find interested companies willing to locate in a new biobased cluster--an 80-ha. area that has been set aside by the port exclusively for biobased companies. Professor Soetaert conducts his own bioindustrial research at the independent Bio Base Europe Pilot Plant. Here he works on finding ways to coax microbial strains to manufacture chemicals such as biosurfactants--industrial products traditionally made from fossil fuels. Aerial view of the Bio Base Europe Pilot Plant (BBEPP). "Biobased chemicals are something that is going to happen, is already happening, and I think they have a great future ahead [in the production of industrial chemicals]. My estimate is that by 2050, around 50 percent of all chemicals produced will be biobased," Soetaert said. "It's a hell of a lot more efficient [to start with biofeedstocks] than to start with petroleum, because petroleum contains no oxygen, so you have to get the oxygen in, and I can tell you it's technically very challenging. If you start with sugars, that already by nature contain a lot of oxygen, it simply makes sense," Soetaert said. "So from a cost perspective, this is the winner." Polylactic acid, from which bioplastics are produced, is another example of a biochemical that is currently produced from biofeedstock. "It makes perfect sense, because if you produce polylactic acid you have a very good yield starting from sugars. The efficiency is really very good," Soetaert noted. The Bio Base Europe Plant is a service facility designed to speed the innovation and commercialization of biobased products. It thus provides flexible equipment and infrastructure that can be used by for-profit companies for process development, custom manufacturing, or scale-up. For example, the plant can take a customer's biobased laboratory protocol and bring it to industrial scale. The pilot plant is a joint project of FBBV and its sister-organization, BioPark Terneuzen. Their collaboration led to funding for the plant and the creation of Bio Base Europe, an international organization. To advance the growth of biobased industries, FBBV supports and initiates industry partnerships, such as the Rodenhuizedok biorefinery cluster in the port. It is "the largest integrated production site for bioenergy in Europe," according to FBBV's Managing Director Sofie Dobbelaere. Professor Sofie Dobbelaere, FBBV's Managing Director. 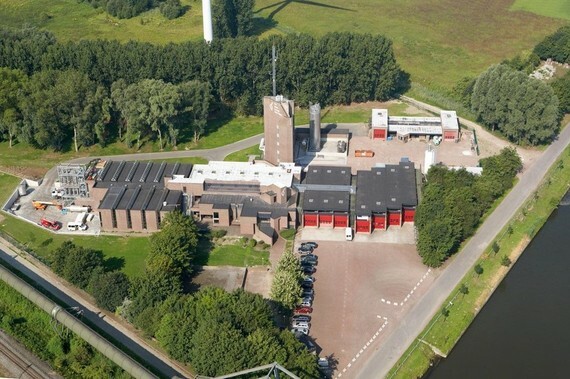 Here at Rodenhuizedok, Bioro produces 350,000 tons of biodiesel and Alco Biofuel generates 170,000 tons of bioethanol from wheat, maize, and barley. That makes Bioro and Alco Biofuel the port's two most important biofuel producers, Dobbelaere said. Rodenhuizedok is also home to Engie/Electrabel, which has a 240 MW power plant fueled with wood pellets that travel all the way to Europe from North America and Canada, raising questions about how sustainable the operation may be. Eurosilo, with its 650,000-ton bulk storage capacity, is located nearby. Elsewhere in the port, Oleon and ArcelorMittal are in the biofuel business. Oleon, an oleochemical company, produces 100,000 tons of biodiesel from rapeseed. Ultimately, 100 percent of aviation fuel could be biofuel, according to Soetaert. 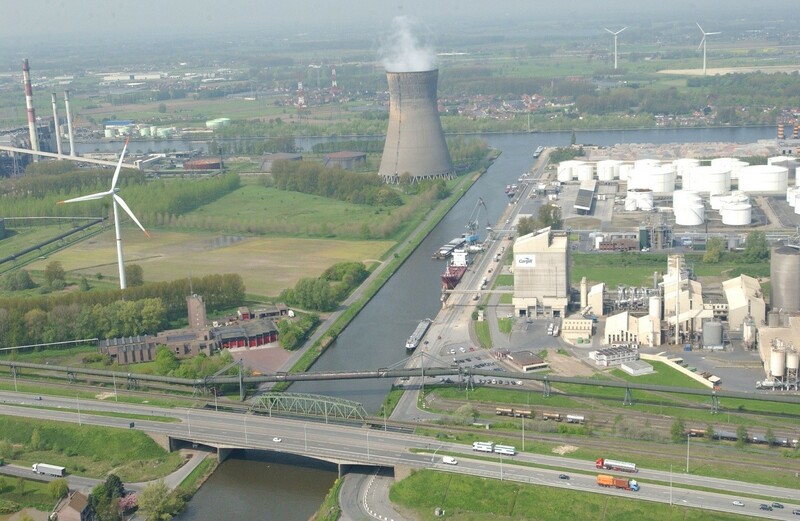 The Engie/Electrabel wood pellet power plant (center-top), the Cargil and Eurosilo silos (right), and the Bio base Europe Pilot Plant (lower left). ArcelorMittal, the world's largest integrated steel and mining company, is building Europe's first commercial-scale plant in the biocluster to produce 47,000 tons of bioethanol per year from waste gases it produces during steelmaking. The company uses a gas fermentation process developed by a young company called LanzaTech in which Clostridium bacteria use the carbon monoxide and hydrogen present in the steel mill gas to make ethanol. The ethanol will predominantly be blended into gasoline, but it can also be further processed into other products such as drop-in jet fuel. The company's huge steel mill currently produces five million tons of steel annually, resulting in the creation of ten million tons of CO2 according to Soetaert. That CO2 originally came from coal, from which coke is produced to make steel. Therefore, the ethanol cannot be called a biofuel, but in Soetaert's words, it brings "a touch of biotechnology," as it is produced through a biotechnological process. The process helps reduce greenhouse gas emissions by recycling carbon from the steel mill's exhaust gases that would otherwise be emitted into the atmosphere. "There's a big project going on here in Ghent now, the Steelanol project," Soetaret said. "They will invest €87 million in totalto produce ethanol as a byproduct of steel making." Partnerships in general are intended to build synergies and foster technological progress through R&D, says Dobbelaere. FBBV also collaborates with other organizations such as FlandersBio and essenscia/FISCH, to promote industrial biotechnology and the biobased economy. The three entities share information and produce joint workshops. The industrial partnerships fostered by FBBV allow partners to take advantage of economies of scale and to collaborate strategically to integrate their production cycles from raw material to finished product, by utilizing the intermediate or waste products of one process as a raw material for another company's value chain. This is exemplified in the use of waste gases for chemical synthesis or syngas production. FBBV is also a partner in the BioBase4SME project and is coordinating with SuperBIO, a Horizon2020 European Union funding project to foster biobased industrial value chains across industries and borders. In both projects, SME's can receive services worth up to €100,000, and FBBV literature suggests that these SMEs someday might disrupt existing fossil-fuel-based value chains. For now, however, the pure biobased industries, especially those using second- and third- generation technologies, are still very much in their infancy, despite the ambitious plans of FBBV. The Port of Ghent's bioeconomy output today is still predominantly biofuels, a commodity at the low end of the bioeconomy "value pyramid," far below bioproducts like medicines, cosmetics, and food.